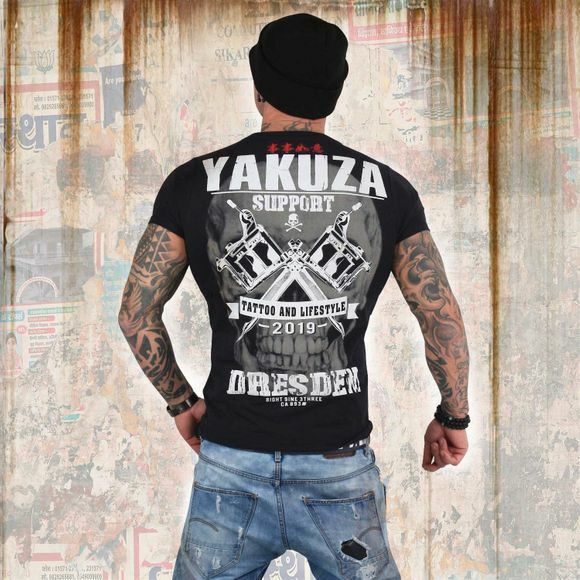 YAKUZA 4 DRESDEN 2019 men's t-shirt. Official, limited classic crew neck t-shirt for Tattoo Convention Dresden 2019. 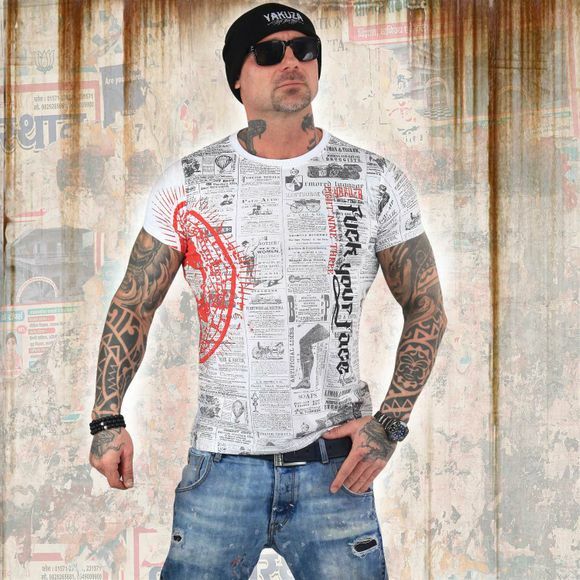 Featuring a huge vintage print on front and back, finished with a Yakuza leather tab on side seam. Please watch out for our size specifications and the washing instructions below.